You can make your home or business secure with a Calabasas electric gate. 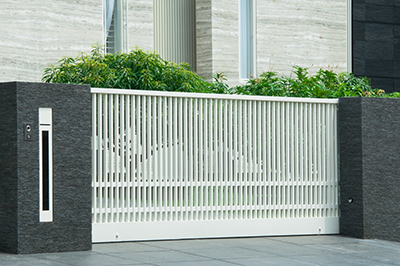 If you need a new gate, Automatic Gate Calabasas carries a full line of gates to fit your needs. If you need Calabasas electric gate repair, we are your area experts. We offer installation, repair, and maintenance services in the city of Calabasas as well as surrounding communities like Woodland Hills and Malibu. Our technicians are experts on how to handle automatic gates of many sorts. You do not need to call anyone else for Calabasas electric gate services. We are the service of choice for area residents. Are you having problems with your Calabasas electric gate not working? It might be as simple as a sensor out of alignment. On the other hand, it might be a burnt out motor on your gate opener. When you need Calabasas electric gate repair, you need to contact the experts. We have the tools and equipment to come out and make a diagnosis quickly. Since we carry the components necessary in our trucks, we can often do common gate repairs without making multiple trips. If you need a new gate or Calabasas gate remote, we can get one to your business or home quickly. You count on your Calabasas electric gate to work when you want it to. When it does not work, you will quickly get frustrated. We are the best Calabasas electric gate repair service in this part of Los Angeles County. Our technicians have the experience and training to get your repair done quickly. We provide a written estimate to our customers before we do the work. You will know what the cost is and make an informed decision. That is big reason why our customers keep coming back to us for their Calabasas electric gate service and installation needs. We are a leader in installing new Calabasas electric gates as well. We carry a full line of gates from many different manufacturers. We offer gates that swing, slide, and roll. We have styles that will complement almost any architecture. We offer fences as well as gates so you can give your home or business a solid perimeter that also looks good. As a customer of Automatic Gate Calabasas, you are safe. We are here to help you with your Calabasas gate needs. All you need to do is give us a call and get the process started.